A team of Russian archaeologists have been putting on display some of the huge collection of prehistoric cave lion bones and other artefacts recovered from a cave in the Russian republic of Bashkiria close to the Ural mountains. The small cave has yielded some five hundred cave lion bones so far, plus a number of flint spearheads and a cave bear skull that shows evidence of having been pierced by a spear. The cave, known locally as the Imanai cave, shows no signs of sustained hominin habitation and it has been suggested that prehistoric people considered part of the cave to have some special, perhaps even religious significance and these items were brought into the cave deliberately. Imanai cave lion skulls on display. The concentration of cave lion bones in the cave is unique, nowhere else in the world has such a mass concentration of cave lion bones been discovered. The bone assemblage probably represents six individual animals. The cave lion (Panthera leo) shares the same scientific name of the modern African lion of the savannah. Although some scientists believe that it is sufficiently different from its African relative to be classified as a sub-species (P. leo spelaea) It may be classified as the same species, by many academics, but the cave lion looked very different from its modern African counterpart. It was around 15-20% bigger and it had longer legs. It also possessed a thick, shaggy coat which during the winter months, when snow covered a large part of this animal’s range, that coat might well have turned white to help camouflage this large predator. It seems that in the past, the lion as we know it today lived over a much wider area of the northern hemisphere. Its range extended out of Africa and into Europe, indeed cave lion fossils have been found in the UK, most notably Kents Cavern near Torquay (Devon). Despite their name, cave lions were not adapted to a life in caves, they were creatures of the open tundra, forests and plains. Their bones may have been washed into caves or brought into cave dens by scavenging animals and as a result, since the bones of these large cats are associated with caves and rock overhangs the term cave lion was adopted to distinguish them from extant species. An illustration of a cave lion. Earlier excavations had found isolated bones deep inside the caves, but these were interpreted as having been sick or injured lions, or lost cubs. The researchers believe that the cave may have been an ancient sanctuary and that these sick and injured animals could have been brought to the cave by ancient people. This suggests that the Imanai cave had some significance to the ancient humans that inhabited this part of the Urals, perhaps it was a place of worship. A number of other such sites were bone deposits have been made are known, the scientists hope to compare their cave data with similar sites from Austria and the Czech Republic. The human relics found include ten stone spearheads, identified as being from the Mousterian culture, previously only two such spearheads had been found in the entire Urals region of Russia. Going down to the bone deposit site. The Mousterian culture is defined by the style of stone tools associated with European hominins. It relates to the Old Stone Age and dates from around 600,000 years ago with the youngest tools associated with this culture dating to around 30-40 thousand years ago. This technology has been found in sites across southern Europe, Turkey and parts of the Middle East. Mousterian flint tools have been discovered as far west as Wales and the Imanai cave represents one of the eastern margins for this stone tool culture. During the Mousterian, Europe was populated by a range of hominin species, including Homo heidelbergensis, Homo neanderthalensis and latterly our own species which migrated into this part of the world from Africa – H. sapiens. The spearheads and the cave bear skull with its spear hole are the only signs of human activity. If ancient hominins had lived in this cave, even for a short period, the archaeologists would have expected to find a lot more evidence of human habitation. For example, signs of fire having been used, animal bones with cut marks from being butchered and other stone tools. The lack of other human artefacts supports the hypothesis that this site might have been a sanctuary of some sort or perhaps a shrine. The latest finds have not been dated, but the upper layers of the cave floor mapped during an earlier reconnaissance are believed to be around 30,000 years old. The lower layers are much older, how much older will have a significant bearing on the study, as the scientists cannot be sure what species of people (indeed, the cave could have been an important location to more than one type of hominin) they are dealing with. Preliminary estimates place the lower, bone yielding layers at around 60,0000 years ago, so this site could be very significant in terms of Neanderthal research. 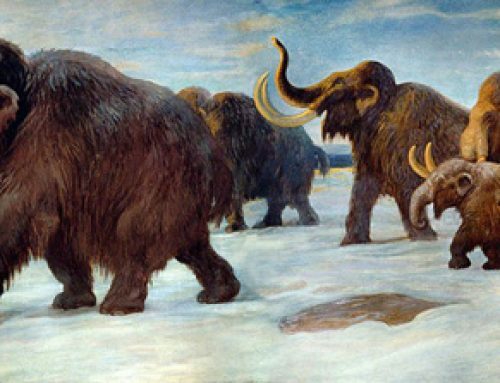 However, different populations of humans occupied different parts of Europe as the climate swung dramatically from very cold periods to much warmer inter-glacial periods during this part of the Pleistocene Epoch. Further dating of material is currently being undertaken by scientists from the University of St Petersburg. All the bone and tool finds come from an area of just six square metres in the cave, which has been excavated to a depth of around sixty centimetres. The research team are excited at the prospect of exploring other parts of the cave and finding many more artefacts. The greater the number of artefacts, then more information can be obtained which should help the scientists to understand more about the cave, its occupants and how it fitted into ancient human cultures.